This list of Nobel laureates by university affiliation shows comprehensively the university affiliations of individual winners of the Nobel Prize and the Nobel Memorial Prize in Economic Sciences since 1901 (as of 2018, 904 individual laureates in total). This list considers Nobel laureates as equal individuals and does not consider their various prize shares or if they received the prize more than once. It does not include Nobel-winning organizations (as of 2018, 24 such organizations) or any individuals affiliated with those organizations. In this list, universities are presented in descending order starting from those affiliated with most Nobel Prize winners. A university is an institution of higher education and research which awards academic degrees in various academic disciplines. Universities typically provide undergraduate education and postgraduate education. Further explanations on "visitors" under "Short-term academic staff" are now presented. 1) All informal/personal visits are excluded from the list; 2) all employment-based visiting positions, which carry teaching/research duties, are included as affiliations in the list; 3) as for award/honor-based visiting positions, this list takes a conservative view and includes the positions as affiliations only if the laureates were required to assume employment-level duty (teaching/research) or the laureates specifically classified the visiting positions as "appointment" or similar in reliable sources such as their curriculum vitae. To be specific, some award/honor-based visiting positions such as the "Morris Loeb Short-term Lectureship" at Harvard University and Guggenheim Fellowship are awards/honors/recognition without employment-level duty;   attending meetings and giving public lectures, talks or non-curricular seminars are not employment-level duties. On the other hand, positive award/honor-based examples include "Morris Loeb Long-term Lectureship" at Harvard University (teaching duty), "Visiting Miller Professorship" at UC Berkeley (research duty) and Fulbright Scholarship. Finally, summer visitors are generally excluded from the list unless summer work yielded significant end products such as research publications and components of Nobel-winning work, since summer terms are not part of formal academic years; the same rule applies to extension schools of universities. A curriculum vitae, often shortened as CV or vita, is a written overview of a person's experience and other qualifications for a job opportunity. It is akin to a résumé in North America. In some countries, a CV is typically the first item that a potential employer encounters regarding the job seeker and is typically used to screen applicants, often followed by an interview. CVs may also be requested for applicants to postsecondary programs, scholarships, grants and bursaries. In the 2010s, some applicants provide an electronic text of their CV to employers using email, an online employment website or using a job-oriented social-networking-service website, such as LinkedIn. Emeritus, in its current usage, is an adjective used to designate a retired professor, pastor, bishop, pope, director, president, prime minister, rabbi, or other person. Different universities adopt different criteria—from generous to conservative—for claiming Nobel affiliates, which may not encompass all types of affiliations in this list. The University Counts (Univ Counts), which are published by the universities themselves, are thus shown as comparison below. Finally, this list, together with the List of Fields Medal winners by university affiliation and the List of Turing Award laureates by university affiliation , presents the university affiliation of people who have won highest honors in fundamental academic disciplines. According to Wikipedia policies on no original research and objectivity/neutrality, it is impossible in Wikipedia to assign various weights to different types of affiliations and to different subjects. Hence, all types of affiliations in all relevant subjects count equally in the following tables and throughout the whole page. 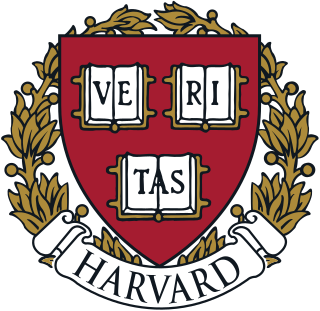 5) Harvard's University Count is not exhaustive and only presents a selection of Nobel laureates. It also includes Henry Cadbury who represented the American Friends Service Committee to receive the 1947 Nobel Peace Prize, and International Physicians for the Prevention of Nuclear War which won 1985 Nobel Peace Prize. They are both excluded from the list. Notes: 1) The University Count of UC Berkeley only includes alumni, current faculty members, and deceased faculty who retired at Berkeley, once per person. 5) T. S. Eliot was a visiting lecturer to the Committee on Social Thought in 1950, and he only gave four public lectures on "Education". He is thus excluded from this list. 4) The University Count of Columbia does not include attendees (2 in total), 2 professors (Martin Karplus and James Rothman), 4 visiting professors (Daniel Tsui, Emilio Segrè, Hans Bethe, and William Shockley), and Barnard College affiliates & Nobel Peace Prize winners who were short-term academic staff (4 in total). Notes: 1) According to the official Nobel biography, Mario Capecchi was on a "work-study program" of Antioch College and as an undergraduate of Antioch he spent several quarters at MIT. This program is not a degree program and is equivalent to a student-exchange program. Thus, Mario Capecchi is not included in the following list. Notes: 1) The University Count of Caltech does not include short-term academic staff. 2) There were a number of Nobel laureates who visited Caltech upon the invitation of Robert Millikan during 1920-30s. Most of these laureates were simply giving public lectures or non-curricular seminars at Caltech and thus are excluded from the list. There are a few exceptions including Albert Einstein. Notes: 1) Carrying teaching/research duties, the (official) Fellows at various Colleges of Oxford University are long-term academic staff in the university. On the other hand, various visiting fellowship and honorary fellowships are award/honor-based visiting positions without employment-level duty. 5) The University Count of Oxford does not include affiliates who came to Oxford after receiving their Nobel prizes. Notes: 1) The University Count of Cornell does not include short-term academic staff (Fritz Lipmann being an exception). Notes: 1) Eduard Buchner received the Nobel prize when he was in Agricultural University of Berlin, which was later incorporated into the University of Berlin. He is not counted as a professor in the University of Berlin. 2) Emily Balch studied one year at the University of Berlin, but she was only permitted to audit lectures and was not in any degree program. She is thus excluded from the list. Notes: 1) This count includes affiliations with the successor Universities Paris I-XIII and Sorbonne University. Notes: 1) The affiliations of several laureates in the University Count are actually affiliations with the city of Göttingen instead of with the university.